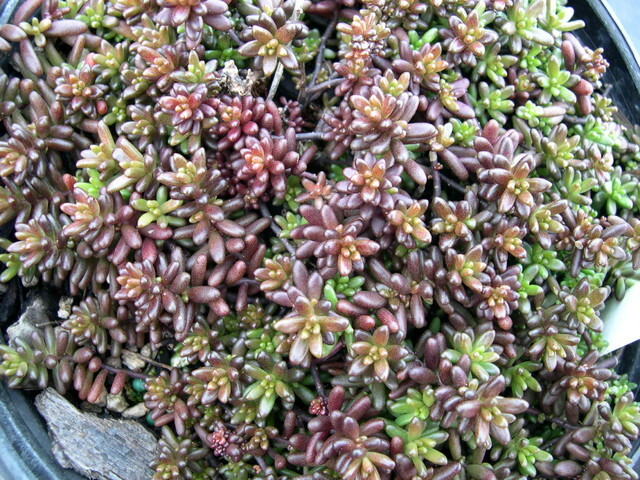 Foliage color is brownish-red and green. This first photo was taken toward the end of winter. Clusters of light pink flowers. Low and spreading. Evergreen. From the Rhine Valley.